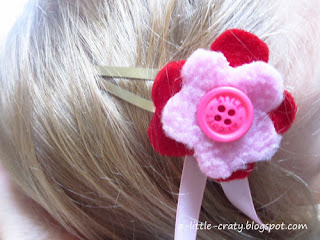 More hot glue gun fun, and a couple of new hair clips. To make the flower clip it was a matter of roughly cutting out a flower shape from two matching colours, I used red felt and pink fleece (because I had them). 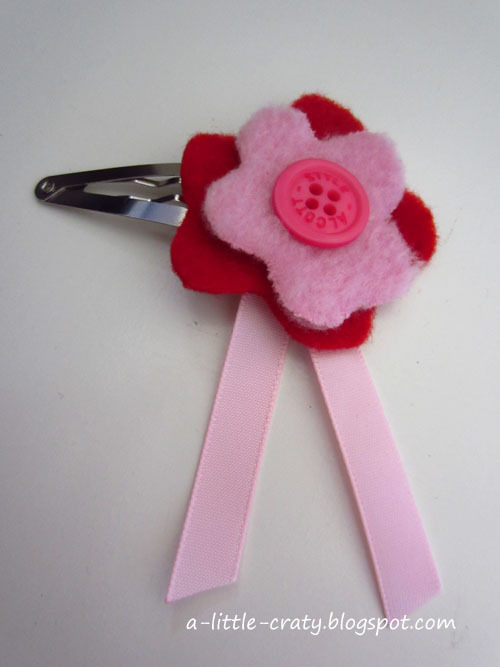 I then trimmed the pink flower until it was a little smaller than the red, and then glued it all onto the clip with a matching button. Done! To make the pink bow I simply folded the ribbon back and forwards a few times. I put a couple of quick stitches in to keep it firm. 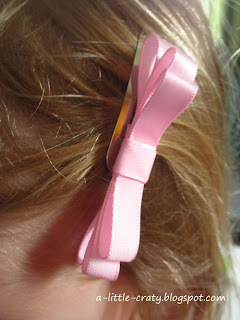 Finally I wrapped it around the middle with the tail end of the ribbon and glued it all in place. Too easy.